There are so many great activities and tours to discover while visiting the Benque, San Ignacio and Cayo areas. The list of links below will get you started on your research. Questions? Just send us an email using the form at the bottom of the page, we’re happy to help! 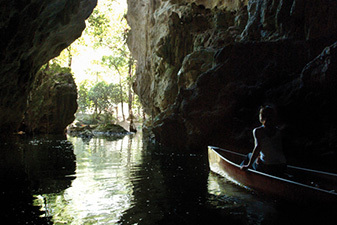 Glide through a remote underground water cave system in a canoes equipped with a powerful spotlights. It is believed that the Maya once used this cave for ritual ceremonies. 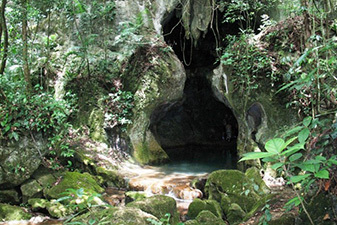 Locally known as Xibalba or ATM, an ancient Mayan cave believed used on their rituals. The cave is an archeoligical site for which skeletons, ceramics and stoneware. This cave is home of the so called “Crystal Maiden”. Abandoned by 800 AD, the site consists of 34 structures on two acres. Located on a hill overlooking San Ignacio. 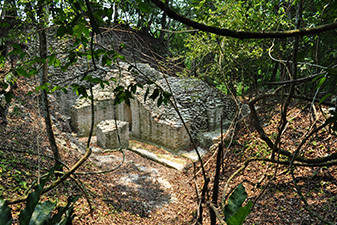 Cahal Pech’s late pre-classic temples and two separate ball courts display fine examples of Maya craftsmanship, suggesting this site was a hilltop residence of royalty and their cadre. Chechem Ha Cave was used by the Maya as a storehouse for grain as well as a ceremonial centre for their after-life, blood letting rituals. 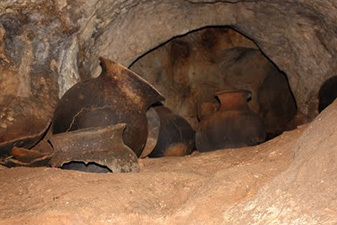 The different levels of the cave contain numerous pristine artifacts, including large pottery vessels, some with paintings and other distinct markings. One of the chambers contains artifacts used in performing their ritualized ceremonies. EL Pilar is a 100 acre Middle Pre-Classic and Late Classic Mayan site which is currently being excavated by the University of California. 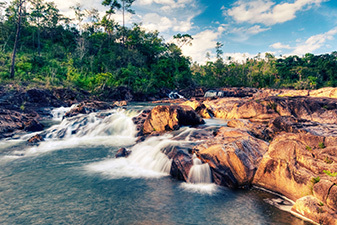 The site is situated 12 miles northwest of San Ignacio in the Cayo District. 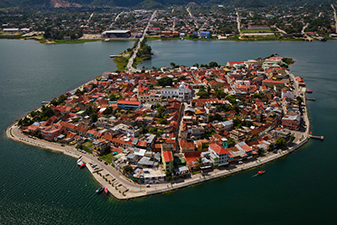 The abundance of natural water sources in this vicinity is possibly the origin of the name El Pilar (“pila” being Spanish for watering basin). Some theorize this out-of-place ecosystem is the remnant of a volcanic island that long ago collided with the mainland. Encompassing a spectacular range of rolling hills, peaks and gorges formed from some of the oldest rocks in Central American, the Reserve covers nearly 300 square miles of unpaved roads and nature trails. The karst limestone terrain is especially suited for Hiking, Biking, Horseback-Riding and Caves. 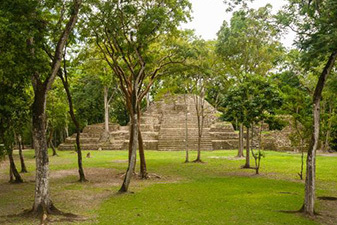 Caracol, covers 30-square miles of thick, high-canopy jungle, and includes five plazas, an astronomic observatory and over 35,000 buildings which have been identified. The loftiest among them, a massive pyramid (Caana) which is capped by three temples and rises over 140 feet above the jungle floor. 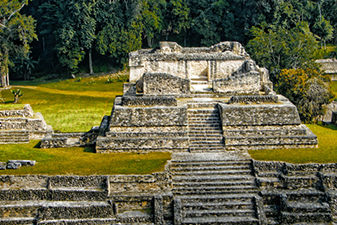 Xunantunich is located across from San Jose Succotz, a few miles from the western border. 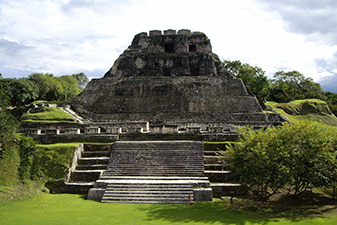 The partially-excavated and largest pyramid, El Castillo, rises 130 feet above the main plaza and offers an impressive Panoramic View of the Belize’s Cayo District and nearby Guatemala. 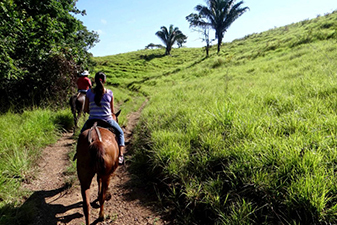 Explore the Cayo District on horseback through half or full-day trips offered by guides and resort operators. Some trips include specific destinations as focal points of the tours, while others are geared toward a simple, pleasurable ride through the Cayo countryside. Birds from the north visit Belize during the winter months, while the summer months are good for spotting visitors from South America. 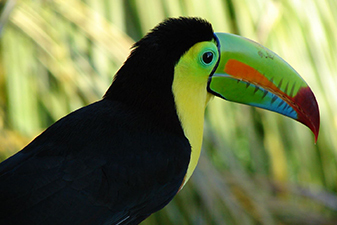 Just as its coral reefs harbor tremendous bio diversity, Belize is a mecca for birds of all shapes, sizes, and colors. Take a guided or self-guided tour. Knowable guides will point out the different flora and fauna, birds and other wildlife along the way. 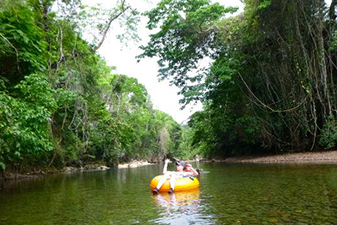 Choose from 3 river systems (Macal, Mopan, Belize) and enjoy kayak and canoeing activities. Flores is a small slow-paced village with Caribbean sensibility, pastel-colored buildings and friendly people.Flores is situated on an island on Lake Petén Itzá and connected by a causeway to it’s sister town of Santa Elena; 45 minutes by road from Parque National Tikal and 2 hours from Cayo District in Belize. 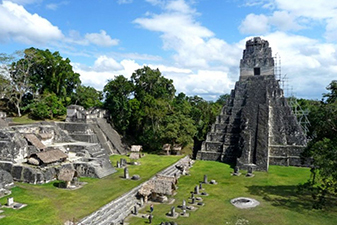 Parque Nacional Tikal is located in Guatemala,about 50 miles northwest of it’s border with Belize. In this remote area, one of the greatest civilizations of it’s time established a city that endured for centuries. How can we help you enjoy your Belize Vacation?